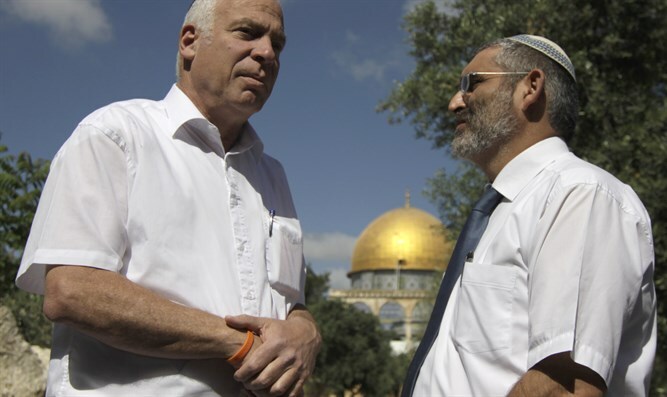 Allowing Israeli MPs to visit Temple Mount 'Zionist ISISism'. 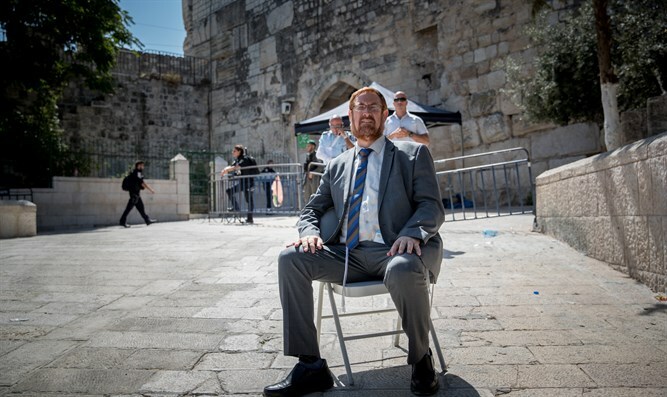 Palestinian Media Watch's (PMW) Itamar Marcus and Nan Jacques Zilberdik report that PA President Abbas' advisor on religious affairs said the presence of Jewish Israeli MPs in Jerusalem and on the Temple Mount "defiles" the Islamic holy sites and in particular the Al-Aqsa Mosque. Earlier this month, Israeli Prime Minister Binyamin Netanyahu rescinded his previous ban on Israeli Parliament members visiting the Temple Mount - which had been in place for nearly three years as a precaution against violence - and allowed them to visit once every three months. "The Prime Minister of the extremist Right in the occupation state has committed a complete war crime against the Islamic holy sites in Jerusalem, and particularly at the Al-Aqsa Mosque. Al-Habbash further threatened "a continuation of the crime mentality led by the occupation government will drag the entire region and the world into a religious war whose results will be disaster for everyone." A similar statement by Abbas in 2014 when he claimed Jewish presence on the Temple Mount was "defiling" the Islamic holy site, and called to "prevent them in any way," launched a terror campaign in which 12 Israelis were murdered in the following month. Abbas' call was broadcast again repeatedly by PA TV and radio in December 2017. Headline: "National condemnation of Netanyahu's decision to allow Israeli Parliament members to invade the Al-Aqsa Mosque... Al-Habbash: Zionist ISISism"
PMW notes that the article's mention of Israeli Prime Minister Binyamin Netanyahu's decision regarding the Temple Mount refers to a move in early July 2018, when Netanyahu rescinded his previous ban on Israeli Parliament members visiting the Temple Mount. The PA and its leaders consider all of the Temple Mount an integral part of the Al-Aqsa Mosque. Therefore they view any presence of Jews on the mount as an "invasion". Jews who visit the Temple Mount only enter some sections of the open areas, and do not enter the Al-Aqsa Mosque or the Dome of the Rock. UNESCO (UN Educational, Scientific, and Cultural Organization) passed a resolution in Paris on "Occupied Palestine" on Oct. 13, 2016, with 24 countries voting in favor, 6 against, and 24 abstentions. The resolution was later approved by UNESCO's World Heritage Committee on Oct. 26, 2016, in a secret ballot in which ten countries voted in favor of the resolution, two opposed, eight abstained, and one country, Jamaica, was absent. 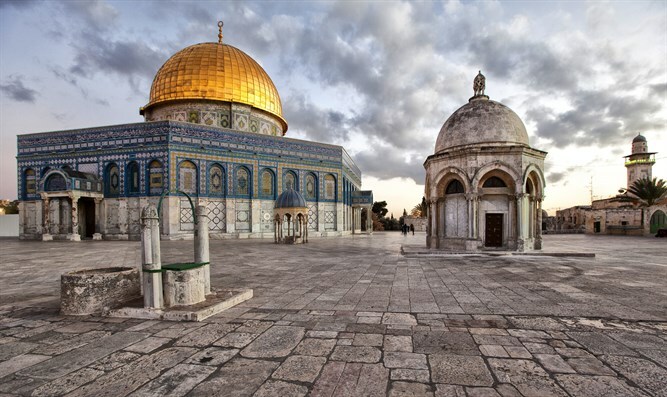 In the resolution UNESCO refers to the Temple Mount, the holiest site in Judaism, only as "Al-Aqsa Mosque/Al-Haram Al-Sharif," and presents it only as a "Muslim holy site." 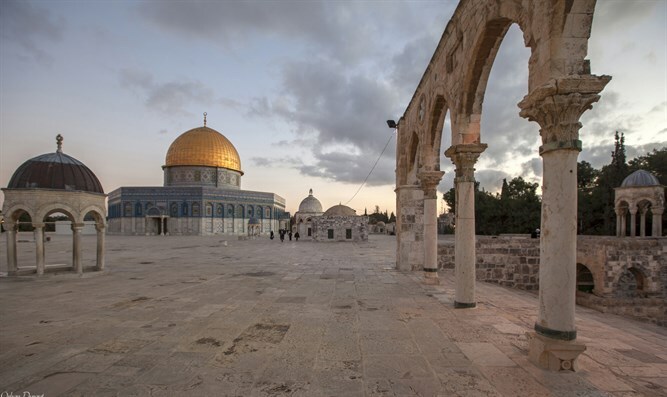 The resolution condemns "escalating Israeli aggressions" and Israeli "violations" at the site, and calls on Israel "to respect the integrity, authenticity and cultural heritage of Al-Aqṣa Mosque/Al-Ḥaram Al-Sharif... as a Muslim holy site of worship." The resolution likewise refers to the Western Wall Plaza as the "Al-Buraq Plaza 'Western Wall Plaza,'" adding quotation marks to the Jewish name for the site. Headline: "Al-Habbash: Those who do not hold any historical truth in our land will never obtain it through forgery"
"Supreme Shari'ah Judge of Palestine and PA President Mahmoud Abbas' advisor on Religious and Islamic Affairs Mahmoud Al-Habbash said 'The occupation state is attempting to invest efforts through all its branches - the security, political, and religious branches - in order to establish a false racist reality at the Islamic and Christian holy sites in Palestine, but this is in vain because their false narrative lacks historical, heritage, and cultural facts in Palestine. In response to a group of extremist settlers engraving what is called 'the Ten Commandments' on the stones of the holy site of Hevron (refers to unconfirmed Palestinian reports that Jews engraved the Ten Commandments on a door of the Cave of the Patriarchs), Al-Habbash said that this attack is considered a dangerous escalation in the series of daily attacks against the holy sites in Jerusalem and Hevron. This crime represents theft and forgery of our Islamic-Palestinian heritage at our holy sites and our mosques in broad daylight. Headline: "Ida'is and the [PA] mufti warn that the excavations underneath the blessed Al-Aqsa Mosque are disastrous"
"PA Minister of Religious Affairs Yusuf Ida'is said that the occupation's actions in Jerusalem and the Al-Aqsa Mosque are a dangerous violation... the last of which being the excavations that the occupation institutions are conducting underneath the Al-Aqsa Mosque (sic., Israel does not excavate under the Temple Mount; see note below). He added that these excavations threaten its structures, plazas, and the lives of the members of our people who visit it. Ida'is emphasized the severity of the recent developments in the Israeli violations against the Al-Aqsa Mosque. He noted that this requires a Palestinian, Islamic, and international position appropriate to the violations, which are advancing in a systematic and planned manner up to the destruction of the Al-Aqsa Mosque and the establishment of their alleged Temple.